A few weeks ago S’s mum flew up from Maldon for a visit. Half of her bag was full of first-birthday presents for W, and the other half was full of home-cooked treats – spicy kasundi, anzac cookies, triple ginger cake (SO GOOD), and jam made from plums that she’d grown in her own garden. The minute I see homemade jam, my first thought is scones. I rarely bake scones, but when I do it is usually around this time of year, when the cooler weather has started to kick in. We’ll pick up a jar of jam from a local market (or, in this case, be gifted one), and I’ll whip up a batch of scones to enjoy in the autumn sun with a pot of tea. 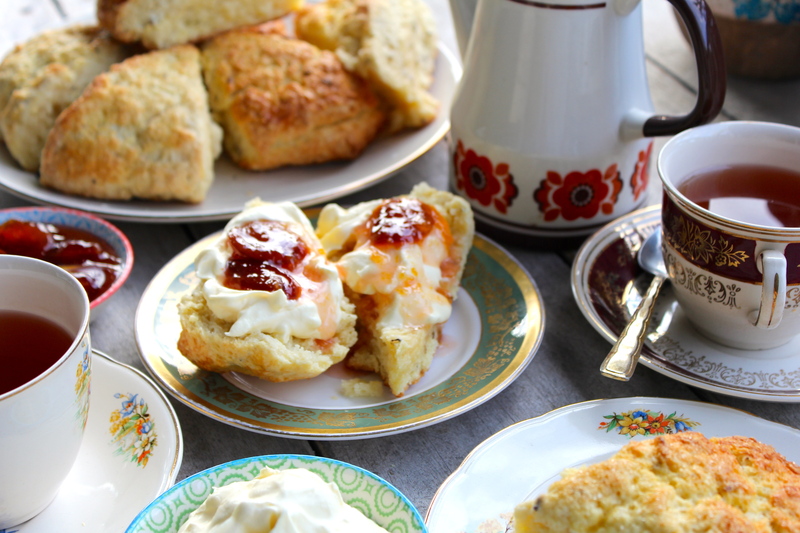 Scones with cream and jam will forever remind me of going down to the Dandenong Ranges as a kid. We only ever went down when we had visitors, my grandfather from Perth, or friends from overseas. We’d spend the day going for walks or visiting Fern Tree Gully – mostly my brothers and I would run around together. And we always ended the day sharing tea and scones at one of the homely little restaurants out there that cater to tourists. It was such a treat, piling those fresh scones high with cream! When I was working in country towns out Western Queensland a few years ago, I was told that when you hear visitors at the gate, you should be able to get a fresh batch of scones in the oven by the time they make it to the front door. I’m not entirely sure how feasible that is, but truth be told at every house I visited out West, we were greeted with tea and scones. That said, when you live on a property that is hundreds of acres big and it takes visitors a good fifteen minutes to reach the house from the gate, maybe it is doable! 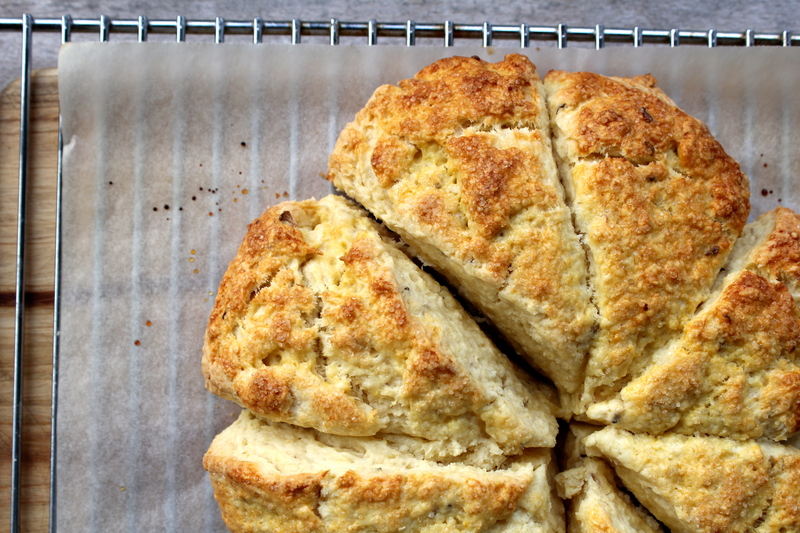 Either way, I love the idea that scones should be easy to make and ready to share. These scones definitely fit the bill – they’re subtly flavoured, beautifully textured, and perfect for morning tea with friends. Heat oven to 220° and line a tray with baking paper. Chop the butter into small cubes and then pop back into the fridge while you prepare the dry ingredients. Beat the egg in a small bowl and set aside. 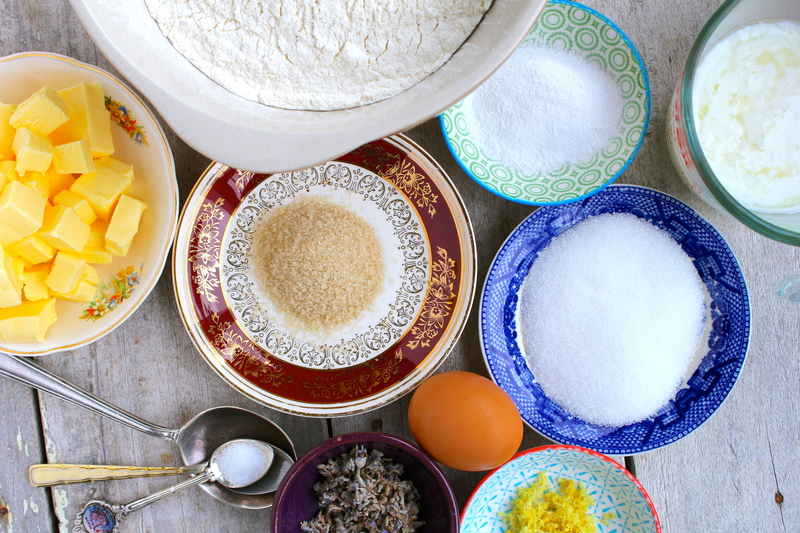 In a big bowl sift together flour and baking powder, and stir through with 3 tablespoons of the sugar, salt, lavender, and lemon zest. Cut your butter through the dry ingredients, either using a pastry cutter or your fingers, until the mixture resembles coarse breadcrumbs. Don’t worry if they aren’t all even – the aim is to handle it as little as possible. Add the buttermilk and about ¾ of the beaten egg to the flour mixture and stir until it barely comes together in a dough. Turn the dough out onto a floured bench and, using your hands, gently knead until it comes together (no more than 5 – 10 times). Shape into a long rectangle (about 2cm thick), then fold over once, tucking in the corners with your hands to form a circular shape. 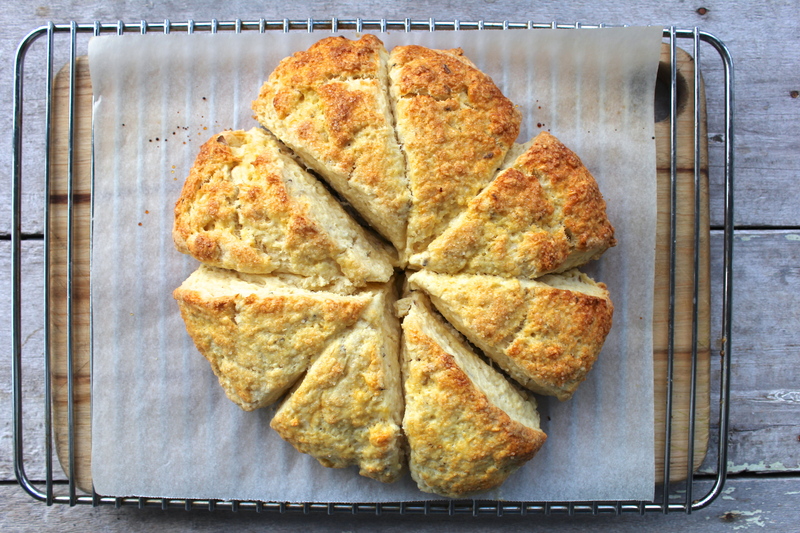 Using a sharp knife cut the dough into eight triangular pieces and transfer across to the prepared tray, taking care to place the scones close together. Brush the tops with the remaining egg and sprinkle with the sugar. Bake for 18 minutes, or until golden on top. Serve while fresh and warm, with whipped cream and jam. Notes: the trick to light fluffy scones is to make sure your wet ingredients are super-cold, and to handle the dough as little as possible. I leave my buttermilk and butter in the fridge until the moment I need to use them, and if I remember I actually put my mixing bowl into the fridge an hour or so before I start. 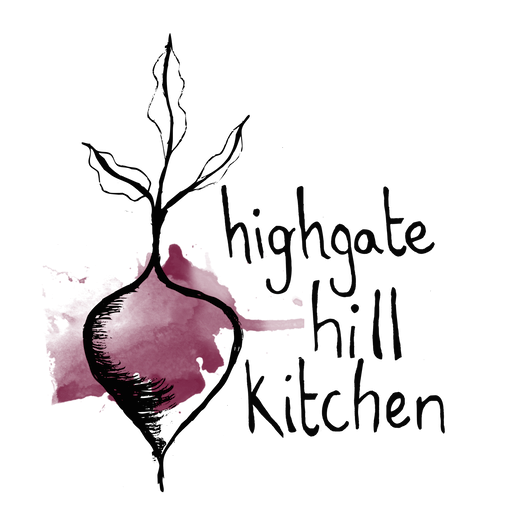 When it comes to kneading the dough, as few times as possible is best, and always use your hands to roll it out rather than a rolling pin. They definitely go well with a cup of tea! If there was ever a doubt in my mind that scones had a place on my kitchen table, you’ve made a very good case for how enjoyable they are to have! But fortunately I never had this doubt, I just don’t make them often, like you. But I love the buttermilk and lemon in these and they’re going on the list for a future brunch! 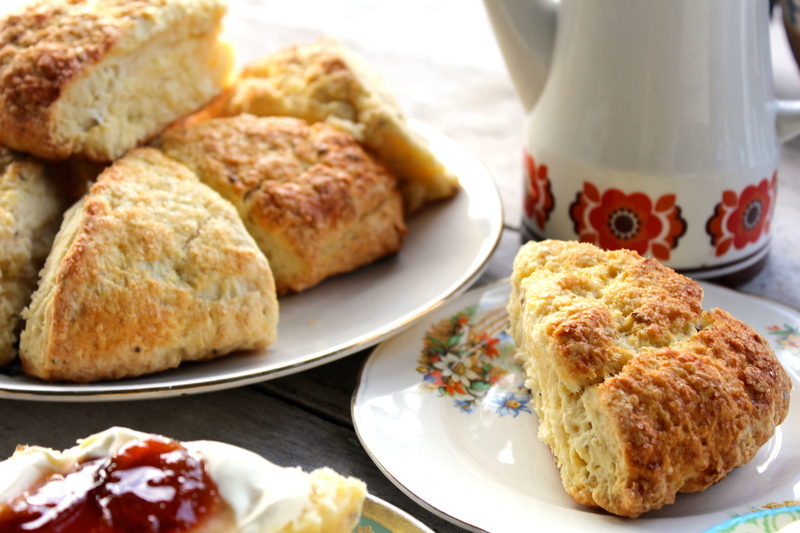 Buttermilk scones are definitely my favourite kind – I think they give a great lightness and tang to the scone. Hope you enjoy these ones!